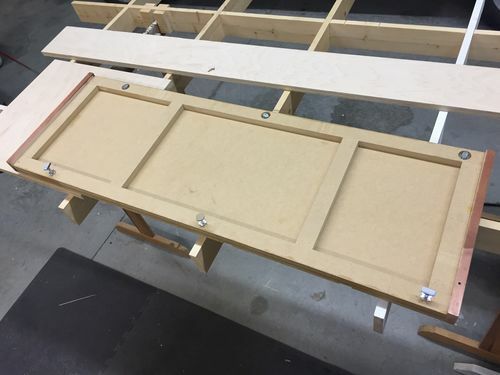 I finished up the work on my outfeed and assembly table last night. 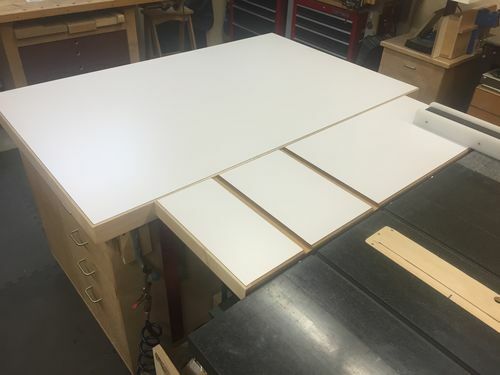 I really just needed to build the top, so I glued together three layers of 3/4” MDF, banded it with maple, then laminated with white formica. 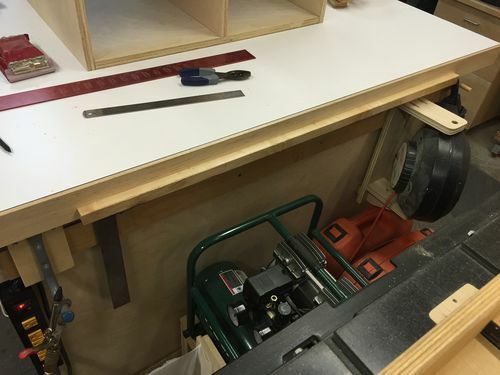 The bridge between my table saw and the table is floating so it can be moved. It’s big, heavy, and dead flat. Exactly what I was after. 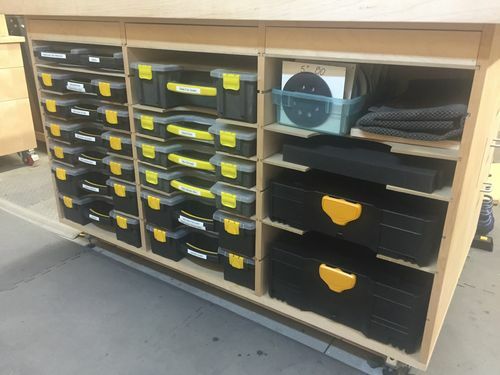 The parts bins have been filled up and that’s been really nice too. 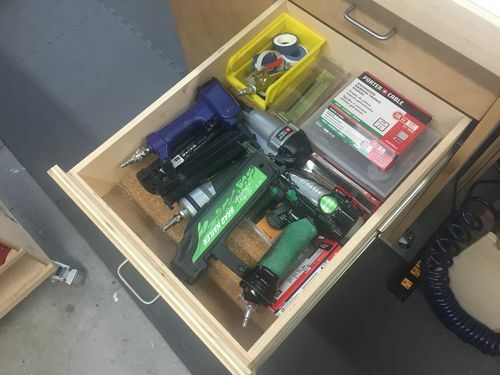 I can easily grab whatever part/screw/washer/etc I need and get to work. 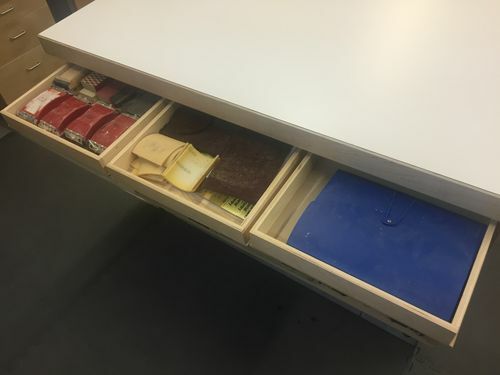 I also organized the drawers a little better. My OCD is alive and kicking. 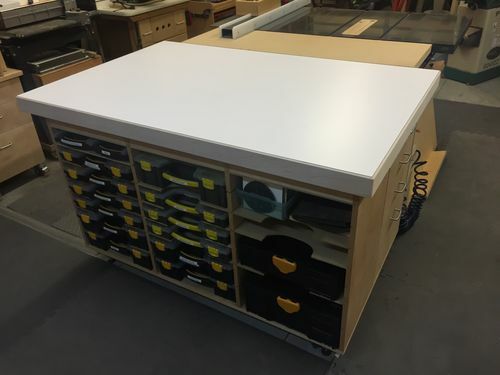 looks awesome, I wish I had the space for this. Do you have any pictures of the attachment of the “bridge” portion of the outfeed? That has some beef, that’s for sure. 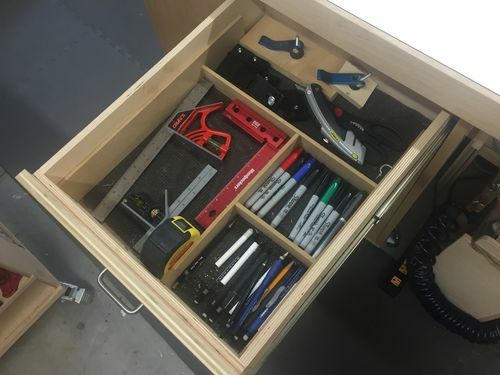 Lotsa gr8 storage. I like the white formica on the top. 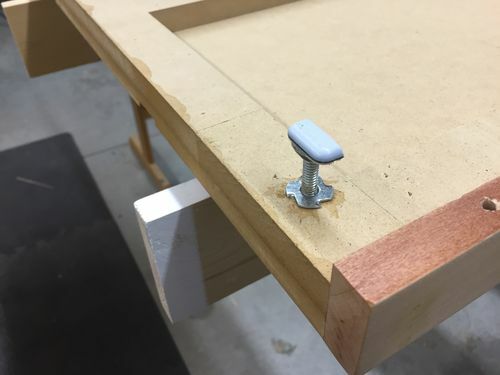 There is a maple strip on the outfeed table where the bridge rests. I put in leveling feet to dial in the height. Great table! I love the storage underneath.